A novel oral agent (BLU-667) that targets RET genetic alterations, achieved durable disease control and was safe in patients with lung or thyroid cancers and RET mutations, as demonstrated by the first-in-human phase 1 clinical trial ARROW. “Tumor reductions and durable responses were observed in most patients, especially those whose cancers progressed with chemotherapy and multikinase inhibitors,” said lead investigator Vivek Subbiah, MD, Associate Medical Director, Clinical Center for Targeted Therapy, M.D. Anderson Cancer Center, Houston, TX. fusion non–small-cell lung cancer and 40% for RET-mutant medullary thyroid cancer,” Dr Subbiah said at the 2018 AACR meeting. The study was simultaneously published online (Subbiah V, et al. Cancer Discov. 2018;8:836-849). “Overall, the data show that ­precision targeted therapy with next-generation kinase inhibitors can have a powerful impact for patients with RET-driven cancers. By offering a highly selective medicine tailored for this oncogenic driver, we hope this new therapy will enable patients to benefit from the recent advances in genomic profiling that have revolutionized treatment options for patients with kinase-driven disease,” Dr Subbiah said. The news was greeted with enthusiasm. Experts noted that currently no drugs are approved by the US Food and Drug Administration specifically for RET-driven cancers, and a RET-targeted agent fills an unmet need. RET mutation is found in approximately 50% of patients with medullary thyroid cancer, 20% of those with papillary thyroid cancer, and 1% to 2% of patients with non–small-cell lung cancer (NSCLC). BLU-667 is a highly selective targeted drug for RET-mutated cancers; it is 100 times more selective for RET than for other kinases. Theoretically, it should have fewer side effects than multikinase inhibitors. The ARROW clinical trial enrolled 53 patients with advanced, RET-driven (ie, RET mutation or RET fusion) cancer who were ineligible for surgery—29 patients had medullary thyroid cancer, 19 had NSCLC, 2 had papillary thyroid cancer, and 3 other RET-driven cancers were involved. All patients did not respond to ≥1 previous therapies. The doses of BLU-667 ranged from 30 mg to 600 mg. The maximum tolerated dose was 400 mg daily. BLU-667 exhibited broad antitumor activity. The best overall response rate (ORR) was 37% in the 30 patients who received ≥60 mg and who had ≥1 postbaseline response assessments. Patients with NSCLC or with medullary thyroid cancer had the best ORRs, 45% and 32%, respectively. 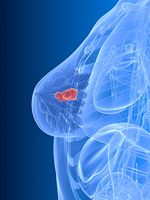 Responses were observed in all tumor types, genotypes, and previously treated patients. The safety and toxicity associated with BLU-667 were acceptable, with mostly grade 1 adverse events and no grade 4 or 5 events. “Today, 41 of the 53 patients remain on study. This is fantastic for a first-in-human trial,” Dr Subbiah commented. A global phase 2 clinical trial will enroll previously treated patients with multiple advanced, RET-driven cancer types. “The data from the study are encouraging. BLU-667 is active in lung and thyroid cancer in TKI [tyrosine kinase inhibitor]-naïve and multikinase inhibitor pretreated patients....We saw that the drug was rapidly active in 1 patient with brain metastases. Hopefully, we will see this confirmed in the future,” said Alexander E. Drilon, MD, Clinical Director, Early Drug Development Service, Memorial Sloan Kettering Cancer Center, New York City, who discussed this study.